A bill passed by the Rhode Island House on Tuesday would create two levels of collision repairers, demand the top tier have OEM steel and aluminum certification, and asks insurers to examine the prevailing rate for each group. House Bill 5491, which was dramatically amended between introduction and passage, cleared the House 73-0 with one not voting. A Senate version of the legislation, Senate Bill 783, passed the Judiciary Committee on Thursday. It divides the shops into a “Class A” and lesser “Class B” — and requires insurers to survey labor rates for both levels for a prevailing amount. That research can’t include subrogated rates or mix and match the different classes’ rates. The auto insurers would have to explain the formulas behind both studies, as they are required to do now for their survey of the general collision repair labor pool. However, the bill now clarifies that the insurers wouldn’t be held to those surveys. The first draft of the bill didn’t spell it out one way or another. “Nothing contained in § 27-29-4.4 shall require an insurer to establish the prevailing rate for each classification of full collision licensed auto body repair facilities based solely on the survey results,” a new paragraph states on the amended version. The definition of a Class A shop saw the largest change. Class A requirements had been exhaustive in the first draft, including the ability to weld aluminum and high-strength steel to OEM satisfaction and with OEM-sanctioned equipment; make 3-D measurements; refinish a car using a prep station, computerized paint mixing, and emissions-reduction equipment; inspect airbags; and do some things that would’ve seemed pretty SOP for both tiers, such as have a vehicle lift and meet Environmental Protection Agency requirements. The new version strips it down to three things a shop must do to be considered the varsity team, two of which were in the prior version of the bill. 1. Give customers a written lifetime warranty and track their complaints. 2. Prove your staff is certified with the minimum technician requirements determined by the Division of Commercial Licensing and Regulation’s auto body advisory board. These requirements already exist, and both classes of shops would still have to comply with them under the new bill; however, it appears that Class A shops would have to prove it. That’s stricter than the prior version of the bill, which only called for repairers to be able to weld aluminum and high-strength steel to OEM requirements with equipment backed by manufacturers — though they had to have an inverter resistance welder. Despite the red tape and expense to make sure your shop reaches the “top shelf,” the bill could be invaluable for shops not involved in direct repair programs who still feel as though they’re being forced into DRP-like labor rates. The distinction for aluminum and high-strength steel as being worth different rates would also seem welcome for shops seeking to recoup their investment in that type of training and equipment. 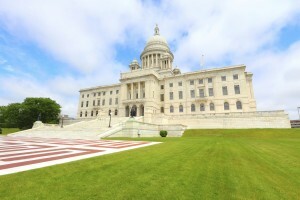 Be heard: Rhode Island legislator contact information can be found here and here.